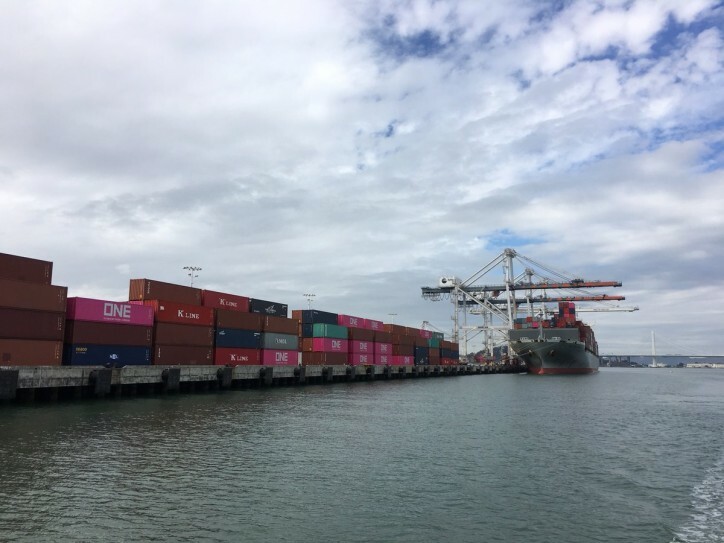 Port of Oakland containerized import volume increased 9 percent last month over January 2018 totals. According to data released today, the Port handled the equivalent of 81,895 20-foot import containers last month. The Port said it was the busiest January for imports in its history. Oakland’s January export volume rose 0.6 percent compared to last year, the Port said. Total container volume – imports, exports and empty containers, increased 3.2 percent, year-over-year. U.S. shippers rushed imports into the country due to lingering concern about future Chinese tariff increases. Importers also tried to stock up in advance of annual Lunar New Year factory shutdowns in Asia. January marked six consecutive months of increasing imports in Oakland, the Port said. Year-over-year volume increased nearly 11 percent last December and 15 percent in November.